Blimey Mate! - a real retropoke of 10 scrummy Chocolate Limes in a bag..... with lime shells sugarpoked through with smooth rich milk chocolate! Luxury Truffles - a bag of 3 milk and 3 dark twist wrapped truffles. 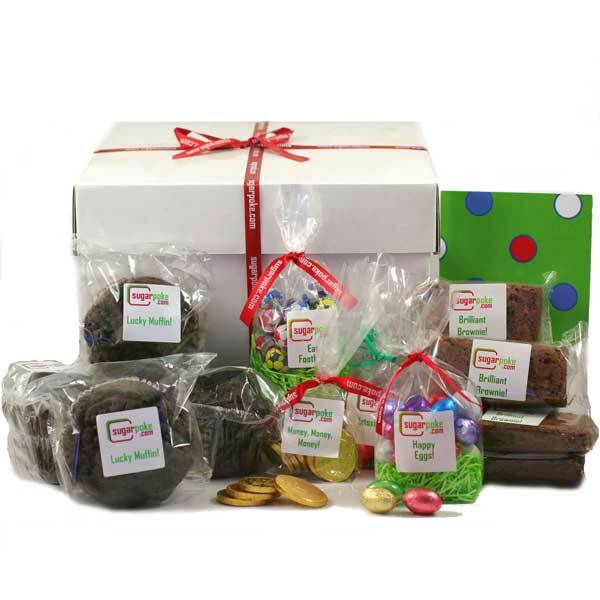 Plus, all these scrummy treats come packed up in funky tissue, in a fab white gift box tied with red ribbon. It looks good enought to eat... but the box doubles a great storage box too! This fabulous hamper box of chocolate treats makes a great birthday gift, is fantastic to say thanks with or even a more formal thank you! It's also perfect to send to someone to wish them good luck or to say congratulations with.